The first WonFes-exclusive Nendoroid for the upcoming Wonderful Hobby Life for You 14 has been revealed – Nendoroid Kaname Madoka: School Uniform version. As the product name suggests, the heroine of Puella Magi Madoka Magica is wearing her Mitakihara school uniform. Three expressions, a school bag, and QB are included in this 3500 Yen package. 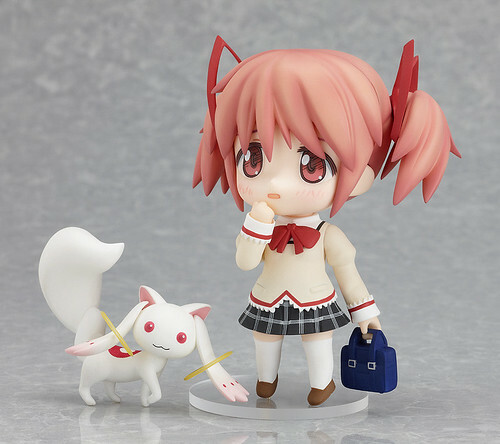 This entry was posted in News and tagged kaname madoka, nendoroid, puella magi madoka magica, wf2011, whl4u, wonfes. WonFes atendees only + japan only web sales? Ouch. I’m in Spain. Thanks for the tip, my wallet has now been properly raped.